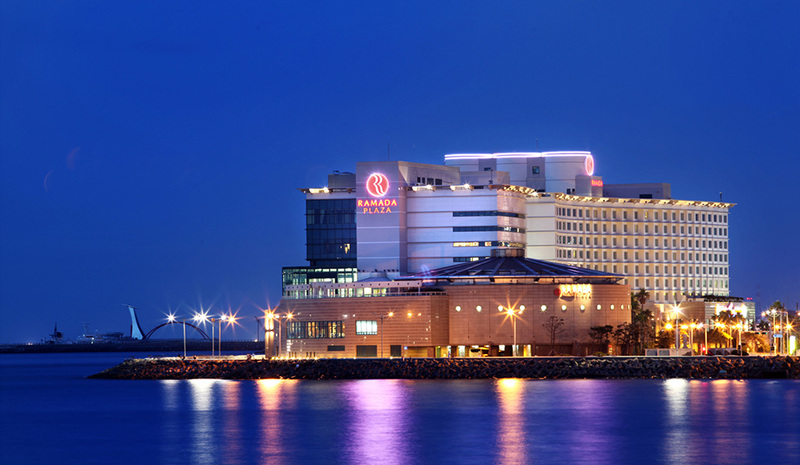 The RE'19 conference will be held in Ramada Plaza Jeju Ocean Front. 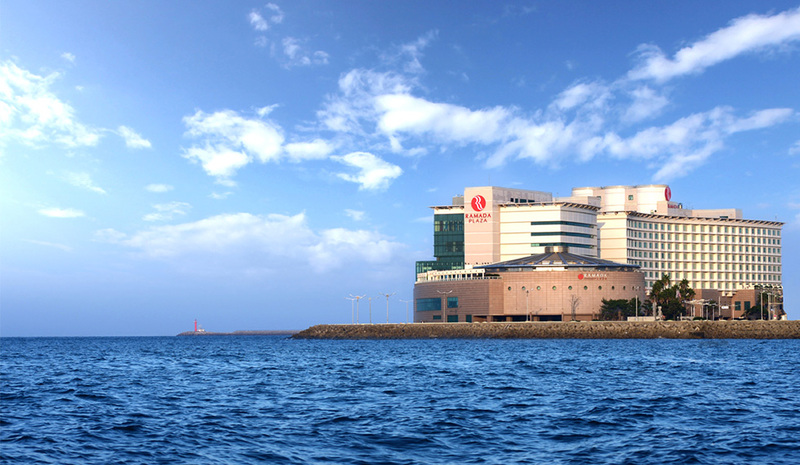 The Ramada Plaza Jeju Hotel modeled after the Hohwa Cruise Ship, floats on the waterfront of Jeju-do Island. This floating hotel, the only one of its kind in Korea, is located on Jeju’s Tabdong Coast and was established with a 100% investment by the Korea Teachers Credit Union. The internationally renowned hotel brand RAMADA was introduced to raise hotel management and accommodation facilities to world class standards and thus satisfy worldwide business travelers and tourists. 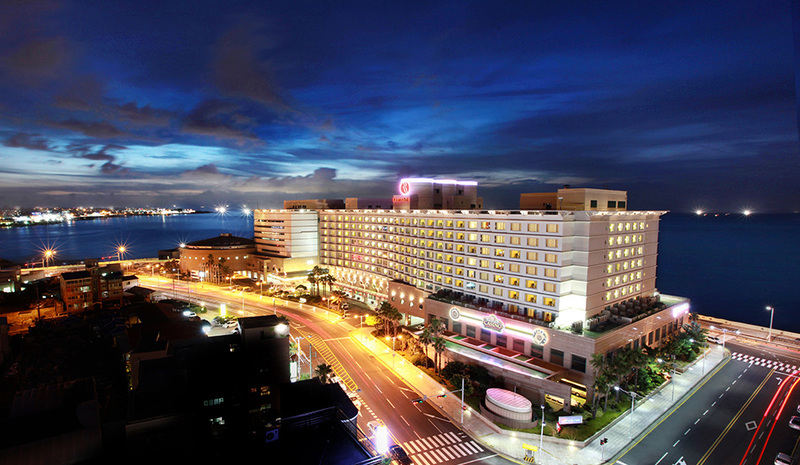 The beach is immediately accessible from the hotel, while Jeju International Airport is only a 5-minute drive away. 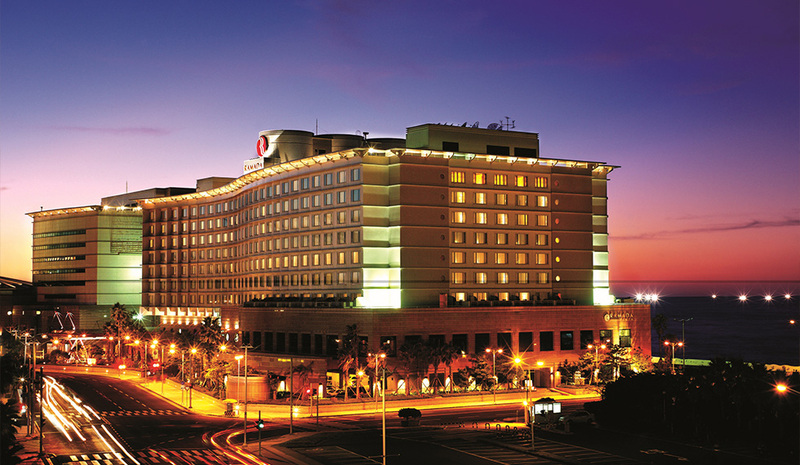 The Ramada Plaza Jeju Hotel has 380 guest rooms, a convention hall that can accommodate well over 1,000 people, and other convenience facilities for the guests. Also, the Kids Suite, the first to be introduced in Korea, offers benefits to both children and their parents with its comfortable space for play and relaxation. The Oceanside guest rooms offer a beautiful view of the beach from the restroom, the same feeling that you get as if you were on a cruise. As you can tell from the map, the Ramada Plaza Jeju Hotel is very close to the Jeju International Airport. There are local bus routes to get there, but the suggested method is by taxi. The taxi fares in Korea are much lower than in most countries, and the ride is less than 10 minutes. If you want to get a feel for Jeju Island before going to the hotel, then the bus route is good for that reason. © 2019+ IEEE International Requirements Engineering Conference. All rights reserved.